At Echo-U, a customer contact centre based in Newcastle and Bournemouth, the health and wellbeing of employees is key, and a real focus is placed on keeping the 500+ strong team happy and healthy. With staff attrition lower than the national average and half the national average for the contact centre industry, Echo-U is successfully building an environment where its team feels valued and its company culture actively boosts staff retention. 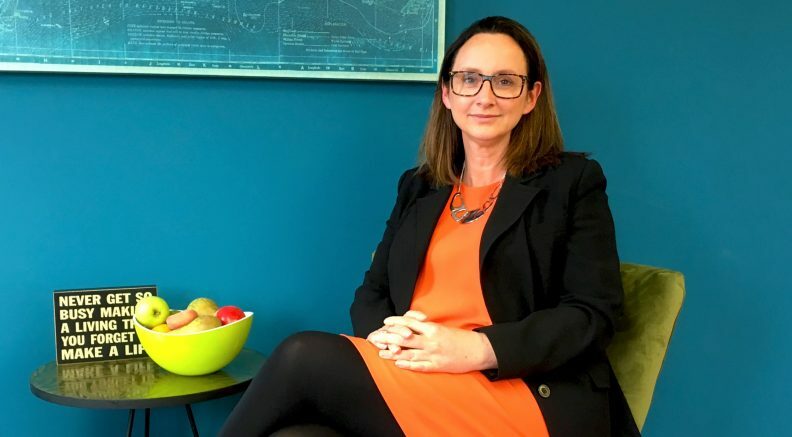 Diana Bourke, managing director at Echo-U, is passionate about wellbeing in the workplace, and has recently launched a dedicated initiative to promote a healthy culture amongst her team, whilst supporting their mental wellbeing. Here, Diana shares her ‘12 Steps to Health and Wellbeing’ programme that is encouraging her team to lead a healthier lifestyle at work and beyond. 1. Free fruit for all – Echo-U actively encourages the team to eat well and provides free fruit to help each employee achieve their 5-10 a day. 2. Water on tap – Echo-U encourages all staff to keep their mind and body hydrated with free water coolers. The company also plans to extend this further by providing each team member with a water bottle so they can stay hydrated from home to work and back again every day. 3. Intranet – Echo-U has developed a discreet portal exclusively for staff so that its team has access to health and wellbeing advice at work and home. 4. Take 5 initiative – Echo-U promotes a ‘take five’ policy for staff to take some time out when they feel they need a mental break. 5. On-site health checks – Echo-U has appointed health and wellbeing consultancy Let’s Get Healthy to deliver free health checks to all staff at an on-site clinic, with the benefit of follow up health reports and advice on improving health and wellbeing tailored specifically to their needs. 6. On-site subsidised café – Echo-U has invested in a subsidised café for its team and encourages them to choose healthy options during their breaks. 7. Office space – Echo-U understands the importance of workplace environment and this year it has been creating a number of staff recreational spaces for the team to rest, recharge, eat, play and socialise together, including a bistro, a games room and 1-1 spaces. 8. Health discounts – Echo-U is negotiating discounts with local health care businesses on health and wellbeing related services such as gyms, opticians, hearing tests and massages amongst others. 9. Small steps to get moving – Echo-U plans to encourage this more with tips for the team to get active both at their desk, around and outside the workplace, promoting the view that little and often is the key to physical wellbeing. 10. Mental health awareness – Echo-U values mental health and encourages staff to look after theirs, offering advice on how to look after themselves on our company intranet. 11. Seasonal topics – Echo-U offers its team tips on how to look after themselves throughout the year, from food and drink to skin protection. 12. Rewards – It is Echo-U’s policy to reward its team with experiences, from duvet days to group activities and nights out with the team to ensure it celebrates the team’s achievements. Diana said: “Over the years, we’ve come to understand how important our team’s health is, and how we, as employers, can have a hugely positive impact on employee wellbeing in the workplace. “We know that employee physical and mental wellbeing is paramount to the success of the business, and we are committed to our 12 steps initiative, a programme which will educate, inspire and improve our team’s health. As well as internal initiatives such as free fruit, we have developed a relationship with Let’s Get Healthy, and with them we host wellbeing workshops. “Over the past 20 years, consumer demands have increased greatly as we now live in a generation that expects 24-hour customer service. This can place significant pressure on employees’ mental wellbeing, so mental health has to be a key priority for employers in the customer service industry. “Overall, our commitment to wellbeing in the workplace has reduced sickness days, increased staff retention and created an inspirational environment for employees. Our staff attrition is lower than both the national average and half the national average for the contact centre industry at just 11%. Echo-U is an established owner-managed contact centre creating growth for many of the UK’s biggest brands including DPD, Sage Plc and Sky.